The "Organización de Estados Iberoamericanos para la Educación la Ciencia y la Cultura" (OEI) in English (Iberoamerican States Organization for Education, Science and Culture) has 23 members: the 18 independent American Spanish speaking countries, plus Puerto Rico, Brazil, Spain, Portugal and Equatorial Guinea. Its goal is to achieve the cooperation in culture, technology and to improve integration and democracy among its members. 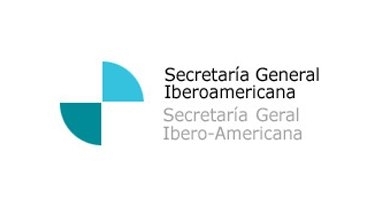 Yearly from 1991 until now, it organizes the "Cumbre Iberoamericana de Jefes de Estado y de Gobierno" (in English "Iberoamerican Heads of State and Government Summit"). The city where it is held changes every year. All the Iberoamerican presidents plus the Spain and Portugal prime ministers meet together with the King of Spain. So 21 Presidents and Prime Ministers plus the King of Spain sign a declaration at the end of every summit. King Juan Carlos of Spain and Cuba's president Fidel Castro are the only two attending all the summits from 1991, the other presidents change in every election. I think the Summit tries to be a kind of "Hispanic Commonwealth", but this Summit has no secretariat. Organization of Ibero-American States (Portuguese: Organização dos Estados Ibero-americanos, Spanish: Organización de Estados Iberoamericanos, usually abbreviated OEI), formally the Organization of Ibero-American States for Education, Science and Culture, is aninternational organization whose members are the Portuguese- and Spanish-speaking nations of the Americas and Europe and Equatorial Guinea in Africa. Its purpose is to promote intergovernmental cooperation among its member nations which will aid the planning and development of regional projects in education, science, technology and the arts. Financing of OEI operations and programs is derived from obligatory quotas and voluntary contributions from the governments of member nations and private cultural and educational institutions and foundations. The honorary president of the organization is King Juan Carlos I of Spain. It is an international framework of cooperation among former Spanish and Portuguese colonies during the XV-XIX centuries, much like the Commonwealth or the Francophonie. Its members are: Argentina, Bolivia, Brazil, Colombia, Costa Rica, Cuba, Chile, Dominican Republic, Ecuador, El Salvador, Guatemala, Equatorial Guinea, Honduras, Mexico, Nicaragua, Panama, Paraguay, Peru, Portugal, Puerto Rico, Spain, Uruguay and Venezuela. Its General Secretariat is located in Madrid, with regional offices in Argentina, Brazil, Colombia, El Salvador, Spain, Mexico and Peru and field offices in Chile, Honduras, Nicaragua and Paraguay. " The flag shows a white schematic human figure on the blue/green globe with OEI under on a white sheet. Source: Vicepresidency of Colombia, official website. Picture taken on March 28, 2014 by David Salas.